Hi I an new to GWT development and was wondering if someone could help me fix my problem. 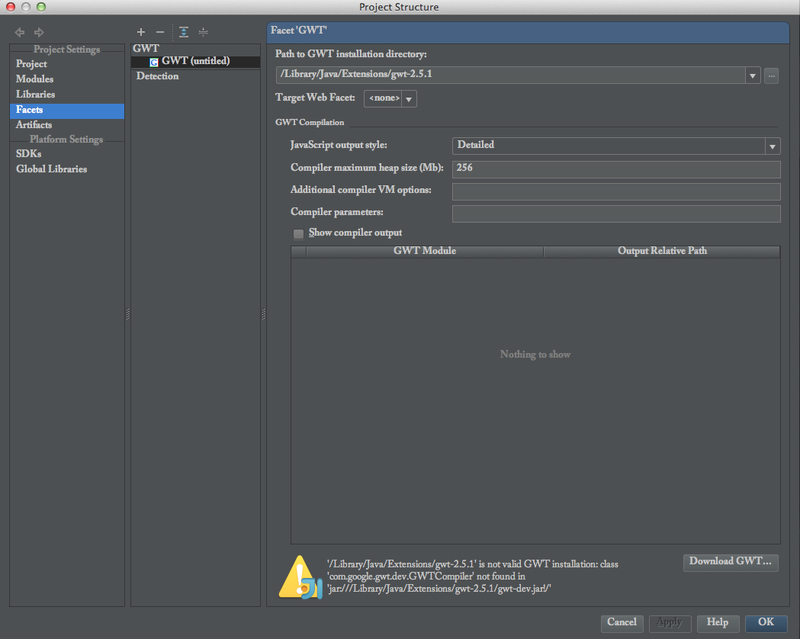 I have followed the instructions on how to setup GWT in IntelliJ on the IntelliJ help site. However, when i go into project structure i get an error message. Which version of IDEA do you use? I upgraded to 12.1.4 and navigated to where my download of gwt was, it then asked me to cereate an artifact so i clicked on the button and it made one. it now doesnt show any error messages, cheers.